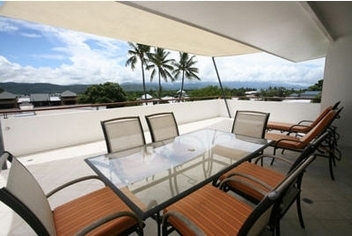 SALTWATER LUXURY APARTMENTS - Port Douglas Accommodation Nestled in the heart of Port Douglas, Saltwater offers some of the newest and most elegant accommodation in Port Douglas. Beautifully secluded, Saltwater finds the perfect balance between comfort and cool contemporary style. 5 Star luxury holiday accommodation. 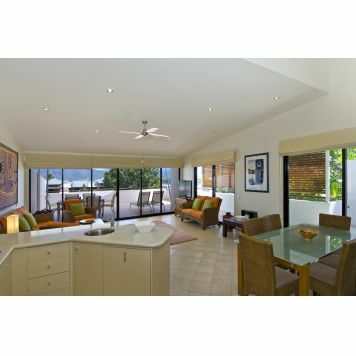 From your Saltwater vantage point, you're just a few minutes walk from Port Douglas' breathtaking Four Mile Beach and only a gentle stroll to the renowned restaurants and chic boutiques of Port Douglas Village and the fabulous Marina Mirage. For wedding groups, St Mary's by the Sea and Anzac park is just a short walk away. 2 World Class golf courses are less than 10 minutes from Saltwater. 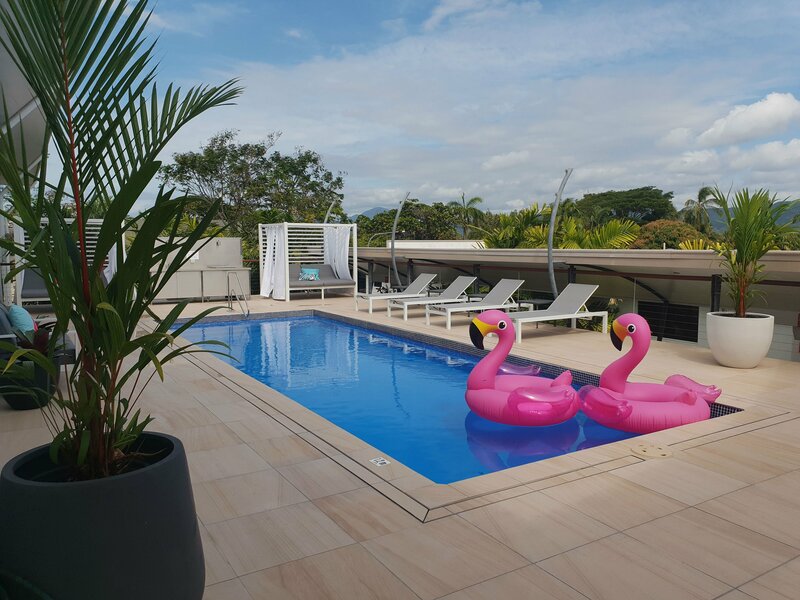 Stylish Saltwater Luxury Apartments, at the heart of a legendary paradise - with the magnificent Great Barrier Reef and the primeval Daintree Cape Tribulation Rainforest on Port Douglas' doorstep. 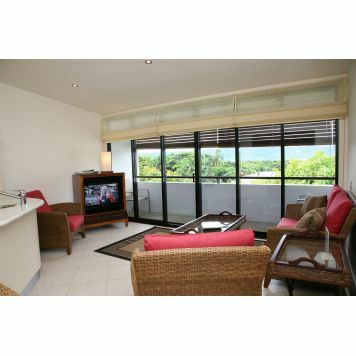 Saltwater is a three storey walk-up complex with apartments on two levels overlooking picturesque Port Douglas Village. 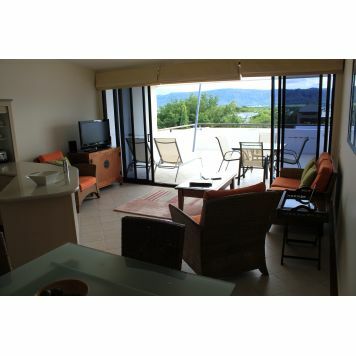 As is the norm in Port Douglas accommodation, there are no lifts at Saltwater- one flight of stairs to the lower level apartments and two to the upper level. 2 bedroom penthouse slightly larger than a standard 2 bedroom and with larger balcony master bedroom (queen bed) 2nd bedroom (de luxe twins that can be made into a king). The Ultras are on the first level of the Complex the 2 bedroom Penthouse is on the top level. 3 bedroom including penthouse include master bedroom (king bed) 2nd bedroom (queen) 3rd bedroom (twins - cannot be made into a king). Two of the 3 bedders are on the first level of the Complex the third plus the penthouse are on the top level. 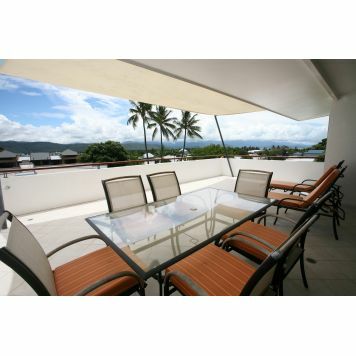 The penthouse has a huge balcony plus arguably, the best views on Macrossan Street. 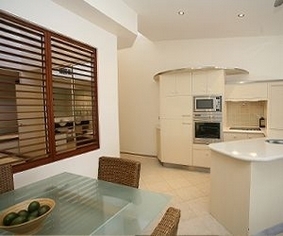 On arrival please go to Saltwater Luxury Apartments Reception. If arriving after office hours please contact Saltwater Luxury Apartments so that detailed instructions on how to access your apartment can be given to you. 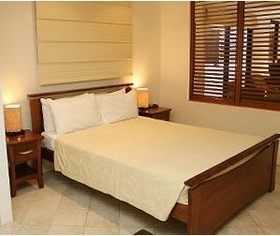 2 Bedroom apartment rate is for up to 4 people. 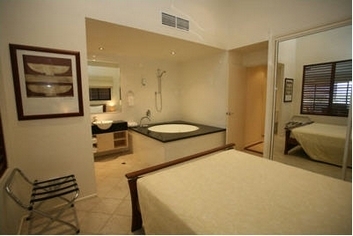 1 additional person allowed at a cost of $40 per night on a Rollaway Bed. 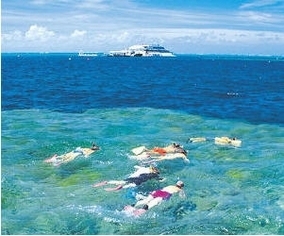 Transfers from Cairns Airport can be arranged. If driving follow the Captain Cook Highway North to Port Douglas. Follow the main road (Davidson Street) and turn left into Macrossan Street. Saltwater is located on the corner of Grant and Macrossan Street on you left hand side. 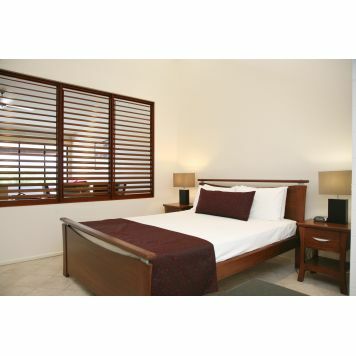 SALTWATER LUXURY APARTMENTS - Port Douglas Accommodation Australia's Port Douglas Saltwater Apartments are within easy walking distance of Four Mile Beach, the shops, restaurants and bars. And tour operators to the various attractions in and around Port Douglas, such as the Daintree Rainforest and the Great Barrier Reef, can pick you up from the front door. You can even get away without a vehicle in this part of Port Douglas. Tours to the Port Douglas attractions such as the Daintree Rainforest and the Great Barrier Reef can be arranged for you by the on site tour desk at no extra cost thereby freeing up more time to enjoy the luxurious living offered in this tropical corner of Australia.